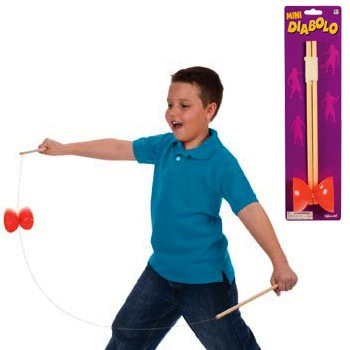 Whirl and toss the spinning spool on the string and perform dozens of tricks. Sturdy wood handles. Instructions included. Assorted spool colors. Made by Toysmith.